Alpha Centauri bids for a fifth Group 1 of the season in the Matron Stakes. "So Perfect only beat Skitter Skatter by half-a-length on her penultimate start over this track but the sectionals suggested she was worth more than the margin while she ran a fine second to Advertise in the Phoenix last time." As is standard with any midweek look-ahead to a big Irish meeting, let's address the weather first. Unfortunately, clarity is hard to come by with an unsettled forecast ahead of Irish Champions Weekend which is one reason to be pretty circumspect with bets at this point. As things stand, the going for Leopardstown's Saturday card is generally good to firm while for the Curragh on Sunday, the round track is good with the straight track having some yielding parts. There is marginally more rain forecast for the Curragh than Leopardstown - five or six millimetres versus two or three per the Irish Met Service - so it is reasonable to expect slower ground on the second day but don't be surprised if showers change things between now and then. Leopardstown has the class edge over the two days of Irish Champions Weekend with both of Timeform's top-rated European three-year-olds, Alpha Centauri (130) and Roaring Lion (129), set to go to post in the Matron and Irish Champion Stakes. Both are predictably odds-on as I write and opposing them could be futile. Alpha Centauri has upwards of 7lbs in hand on official ratings in the Matron and some of her main rivals like Laurens, Magical and Happily are better over further. 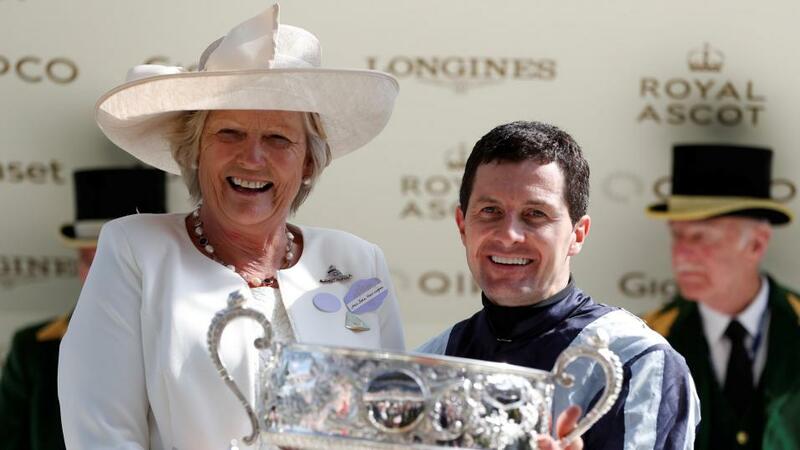 She hasn't had to be quite at her Royal Ascot best the last two starts but she proved she had little issue with some cut in the Marois last time and Recoletos did that form no harm in winning the Moulin last Sunday. If there is one to go well at a bigger price it could be I Can Fly. She shaped with promise off a break at Galway before a wide-margin win at Killarney but found things going wrong from the start last time at Tipperary. She was slowly away and repeatedly found bits of traffic, finishing with running to give in fifth. The step up in trip and more galloping track will suit her better. In truth, the Irish Champion Stakes is an underwhelming race, essentially a Group 1 for three-year-olds with a few exposed older horses thrown in. This is part six of the Roaring Lion-Saxon Warrior rivalry with recent events suggesting the Gosden horse is well on top by now, something that is reflected in his odds of [1.86]. He is very hard to beat at 10 furlongs when the emphasis is on speed as it has been the last twice and unless Ballydoyle can shape the race differently, he looks set to have his optimum conditions again. Those looking to oppose him can argue that it is hard to go the Guineas/Derby route, take in the Eclipse and York and still pitch up here. There are some reasons for thinking Saxon Warrior is better than he has shown the last twice, the Sandown run coming off a quick turnaround and Aidan O'Brien commenting in the Irish Field last week that his Juddmonte International run was much-needed, as 'he was very sick after Sandown, he was properly sick.' Still, it could be that Study Of Man is the biggest danger to the favourite though he will need to improve plenty from his last run at Deauville. The upgraded Flying Five makes it six Group 1s over the weekend but this race has lost some of its lustre with news that Blue Point will not take part due to a bad scope; they will need to attract a better field than this if its top-level status is to be maintained. Havana Grey is a solid if unexciting market leader. A good winner here in July, it is worth upgrading his fifth in the Nunthorpe as he raced alone on the far side. Hit The Bid (who should improve for his Tipperary run last time) and the seemingly ageless Caspian Prince look his biggest dangers. Remarkably, Aidan O'Brien is yet to train a classic winner in Ireland in 2018 and while Order Of St George has been retired and won't be taking his chance in the Irish St Leger, he still has the favourite in Flag Of Honour. He won the trial over course-and-distance last month but like Havana Grey in the Flying Five, hardly sets the pulse racing at the prices. The decision to run Latrobe here rather than Doncaster will make life tougher for Flag Of Honour but the one I'd really be interested in if he gets the late switch is Southern France. He was weak in the betting behind the favourite last time but shaped like the best horse but he seems set to run in the English version on Saturday. Anthony Van Dyck has been put in very short for the National Stakes on the Sportsbook and he could be a vulnerable favourite; one thing that is likely is that he will look beaten at some point in the race as he has traded at highs of [5.4] and [2.98] from Betfair SPs of [1.69] and [1.73] the last twice respectively. He looked quite slow in the Futurity when he was off the bridle earlier than most and is vulnerable to a faster horse over this trip though I want to see what the ground does before committing to one of his rivals. The Moyglare seems to offer the best bet at the current prices with So Perfect standing out at 9/2. She only beat Skitter Skatter by half-a-length on her penultimate start over this track but the sectionals suggested she was worth more than the margin while she ran a fine second to Advertise in the Phoenix last time. She was keen early on in a slowly-run race but nonetheless finished her race out in the manner of one that would stay seven furlongs; not only was the race against colts but the fourth has come out and franked the form. Plenty of the others have upside - though I suspect Fairyland will wait for the Cheveley Park - but So Perfect looks to have the best form and should be clear favourite by my reckoning.